The most recent operating system from Microsoft, Windows 7, comes in a wide variety to suit the needs and budgets of the consumers. Even the Home edition of Windows 7 comes in basic and premium. Home Basic is understandably cheaper, and limited in capabilities when compared to Home Premium, but that is not the only difference. The Home Basic is not being sold worldwide like the Home Premium. It is only available in emerging markets, where budgets might be a little bit tight, and the lower price point could be the clincher. Home Basic is not available in most developed nations, like the US, UK, Canada, United Arab Emirates, Germany, and Italy, among some other countries. Restrictions have been put in place so that you cannot activate your copy of Windows 7 Home Basic if you are located in the countries where it is not being sold. There are a number of limitations that apply to Home Basic. It’s support for Aero, the glasslike user interface that was introduced with Windows Vista, is only partial, while Home Premium users can take advantage of full Aero support. Limited Aero support is only a problem for computers lacking in hardware, as it is still possible to scale back with Windows 7 Home Premium, but with Windows 7 Home Basic, you are limited regardless of how capable your computer is. Aside from visual limitations, there are also limitations in terms of it’s functionality. The Home Basic does not come pre-installed with the Windows Media Center. This software centralizes the media needs of the user, and adds TV functionalities. It lets you watch TV online, and even acts as your DVR by recording the TV shows that you like via a hardware TV tuner. You can also use the media center to watch movies or videos, and to browse through your photo albums. All of this is still possible with Home Basic, but you would need to access individual applications, like the media player and photo viewer. 1. Home Basic is cheaper than Home Premium. 2. Home Premium is being sold worldwide, while Home Basic is sold only in certain areas. 3. Home Premium has full Aero support, while Home basic only has partial support. 4. Home Premium is able to create and join a home network, while Home Basic is only capable of joining. 5. Home Premium is already equipped with the Windows Media Center, while the Home Basic is not. Ben Joan. 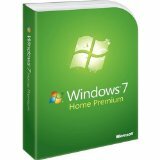 "Difference Between Windows 7 Home Basic and Home Premium." DifferenceBetween.net. December 25, 2010 < http://www.differencebetween.net/technology/difference-between-windows-7-home-basic-and-home-premium/ >. I used to have animations in my screen savers pictures when i had my new laptop which is Windows 7 Home Basics. Now with a new hard disk installed (same computer), still Windows 7 Home Basics, i realized there is no animations i can make on with pictures on screensavers, any reasons?